Home History The Katana – The Ultimate Sword? Most people in the west have heard stories of the incredible cutting power and durability of the Katana, a symbol of Japan through two of its feudal periods. Some people can even tell about how their grandfather in World War II had the barrel of his rifle cut in half by a Japanese soldier with a Katana. Movies, anime, and video games put the sword front and center as something more than a melee weapon – it is simultaneously a warrior totem and the apex of swords. In many ways it is the image of the samurai, before all else. It has a fair cult following in the west and elsewhere. But just how great is the katana, really? Considering that I wrote a book which featured heavily the katana, and not just the form of the sword, but also specific blades made by now legendary swordsmiths Muramasa and Masamune, you might be surprised to know I have a rather modest opinion of the weapon. If you troll forums or watch HEMA (Historical European Martial Arts) videos on YouTube you might be presented with the antithesis of the pop-culture reverence for the curved blade of samurai. Critics will say not only that the form of the sword is overrated, but that it is in fact a bad weapon. The truth is that the Katana is an excellent weapon for its time, place, and purpose, but many people misunderstand what the purpose of the weapon actually was. 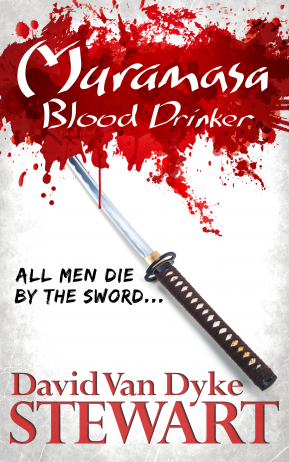 Feudal Japan, Historical fantasy, Historical Fiction, History, katana, kenjutsu, Martial Arts, Muramasa: Blood Drinker, Swords. Bookmark.